A chain-reaction crash in a supermarket parking lot killed a Lake Worth woman as she apparently loaded groceries into her vehicle’s trunk. According to the Palm Beach County Sheriff’s Office, the wreck happened at a store on South Military Trail in Greenacres. For unknown reasons, a woman backed out of a parking space at an unusually high rate of speed, crossing the entire driving path between the lines of parked cars and striking another vehicle. The force of that collision pushed the second vehicle further across the parking lot, where it collided with the victim’s vehicle. She was dragged underneath for a short distance, and subsequently declared dead. Authorities do not intend to charge the tortfeasor (negligent driver) with a crime. Head Injures: Many pedestrian victims effectively sustain two head injuries. One occurs when the vehicle strikes them, jostling their brains, and the other occurs when they fall and hit their heads on the ground. Internal Bleeding: That same jarring motion often causes internal organs to rub against one another and rupture. Many times, this internal bleeding is not detected or halted right away, leading to massive blood loss. Broken Bones: Since the serious fractures that usually accompany these cases nearly always require metal screws or pins during surgery, victims must also endure long-term physical therapy. As illustrated in the above story, speed is a significant factor in these cases as well. The pedestrian fatality rate is about 10 percent if the vehicle is travelling less than 25mph and 75 percent at 50mph. To obtain compensation in a negligence case, the victim’s injuries must be a foreseeable consequence of the tortfeasor’s (negligent driver’s) action or inaction. This rule comes from Palsgraf v. Long Island Railroad, a colorful New York case from 1928. While Ms. Palsgraf and her daughters waited for a train to Coney Island, two railway workers tried to help a late-arriving passenger board a departing train on the other side of the platform. In Three Stooges fashion, one man tried to push the overweight passenger into the car from behind while the other one pulled from the top of the stairs. After the passenger dropped a package of fireworks during all this commotion, they exploded, creating a shock wave that pushed a pair of large scales onto Ms. Palsgraf. The court eventually ruled that the railroad owner was not responsible for Ms. Palsgraf’s damages, because her injury was not a foreseeable consequence of the employees’ negligent behavior. This rule occasionally comes to bear in car crash cases, where for example a doctor makes a medical mistake during surgery on a victim or, as in the above case, a chain-reaction collision causes a pedestrian injury. 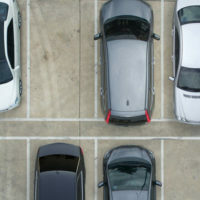 Depending on the circumstances, judges often rule that chain-reaction crash victims are eligible for damages, even in light of the foreseeability rule, because it is foreseeable that there will be pedestrians in a parking lot who may be hurt by an out-of-control car. Tortfeasors are legally responsible for foreseeable damages. For a free consultation with an experienced personal injury lawyer in Port St. Lucie, contact Eighmie Law Firm, P.A. We do not charge upfront legal fees in negligence cases.